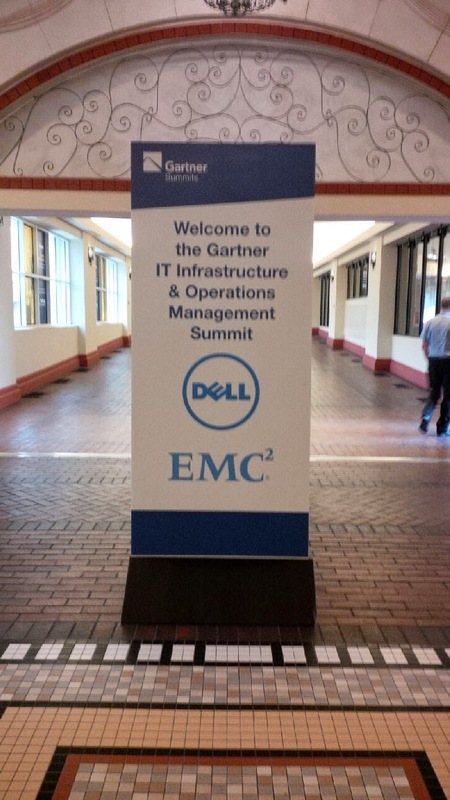 This year I have been privileged by my organization to attend the 2014 Gartner I&O Summit, hosted in the Gaylord Palms in Kissimme Florida. This blog article is the first in a series that will provide some of my insights, opinions, and findings from the four days I'm spending here learning, collaborating, networking, and exploring ideas. Each workshop was highly interactive and well facilitated by Gartner Analysts. Now I had a slight leg up on several in this workshop as I've worked my way through using the I&O (Infrastructure and Operations) Maturity Assessment this past March, so I was somewhat familiar with the tool, and had a Gartner analyst explain it briefly to me over the phone. The concept is based on the premise that by answering a series of questions (the full assessment takes about 1.5 hours to complete) in four I&O maturity dimensions (read: categories) you will get a score that will give you an approximate measure of the maturity of the I&O of your organization. The average score of those who complete the assessment is 2.31 out of 5. Only 10% of companies surveyed have scored 3.0 or greater. That said, Jay Pultz, the analyst leading the session, did acknowledge that very few companies have completed the survey a second time to assess their progress. This is something Gartner will like to see more of their customers do. The value in conducting this assessment is that you get an understanding of where the growth opportunities are for your organization, where your key challenges are, and assistance in planning how to address them. The four dimensions assessed are people, process, technology, and business. Of the latter two, Gartner means how you manage the technology, more so than what technologies are in use, and at what level do you interact with other business units in your organization. We did not complete the full assessment in class, but rather took a high-level pass at it in groups to ensure we understood not only the methodology, but more importantly the value, and how to interpret results and their impact on business. This exercise resulted in giving our group insight into key areas where I&O leaders can have the greatest impact, why they would have that impact, and key steps to take. Many of the groups around the room focused on engaging the people in their I&O teams, and leading them to better understand how their work contributes to the goals of the business. Gartner advises repeating the assessment every 6-12 months if you are actively working on a maturity road map plan you've devised from the recommendations that the assessment provides you. Debra Curtis and Suzanne Adnams facilitated this session and Debra started by managing our expectations with the statement that the development of these tools are much more ART than SCIENCE! Some interesting facts I learned at this working session were that catalogues and portfolios will be unique to each organization, reflecting the business values and culture, and that for I&O, these are strategic communication tools of enormous value.